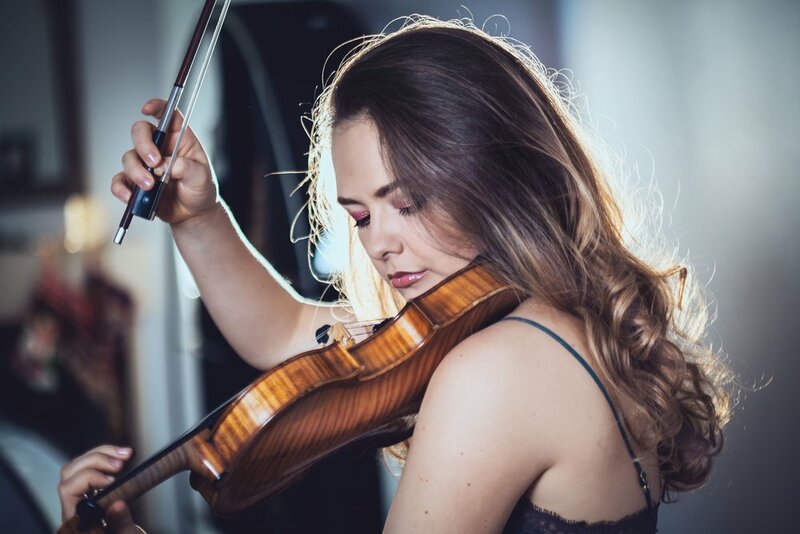 Alexandra Conunova won in 2012 the first distinction of the Joseph Joachim of Hanover’s international violin competition: impressed by her master technique and her sensitivity, the jury unanimously commended her virtuosity. In 2015, while she was rewarded at the Singapour’s International Competition, she reached the final step of the prestigious Tchaikovsky Competition in Moscow, where she won the third prize – the first prize having remained non awarded – before becoming the 2016’s Borletti - Buittoni Fellowship laureate in London. From then on, Alexandra makes it a rule as a leading soloist and performs alongside important orchestras such as Mahler Chamber Orchestra, Orchestra de la Svizzera Italiana, NDR Hannover, Radio Saarbrück, Mariinski Orchestra, Camerata Bern, Orchestre du Teatro Regio de Turin, Orchestre de Seville, Orchestre de Toulouse, Stuttgart and Vienna chamber orchestras, under the direction of Valery Gergiev, Theodor Curentzis, John Axelrod, Vladmir Spivakov, G. Noseda, ...touring in Japan with the Moscow Philharmonic Orchestra and Yuri Simonov, or even recently touring with Laurence Equilbey and herInsula Orchestra - Budapest, Aix en Provence, Paris, London. Appointed «Maitre ès Arts» by the Republic of Moldavia’s President, her native, country, she founded the charity «ArtaVie», aiming to help disadvantaged families and children from her former school. Discography: Prokofiev’s violin and piano sonatas with Michail Lifits(Aparté). Beethoven’s Triple Concerto in C major op. 56 with the Insula orchestra under Laurence Equilbey, (Erato). Alexandra plays a «del Gesu» ca.1730 «von Vecsey».